Do you have a wealth of vocal knowledge that you’d like to share with growing singers here on this site? If so, then we may be able to work something out. 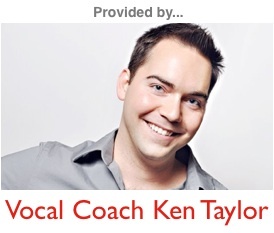 If you’re chosen to be a guest vocal coach on this site, you’ll not only benefit from the branding and publicity of getting your answers in front of hundreds, if not thousands of singers each month, but you’ll also be able to refer people straight back to your website at the end of each article. This link will help you get clients from our site, while also helping you rank in the search engines in your local market as well. Finally, and I believe most importantly, you’ll also be helping your fellow singers further their talents and abilities. And let’s be honest… that’s what it’s really all about. If you’re interested in learning more, please email Ken at askavocalcoach@gmail.com. Be sure to include a list of performing/teaching experience and any formal training that you’ve received.